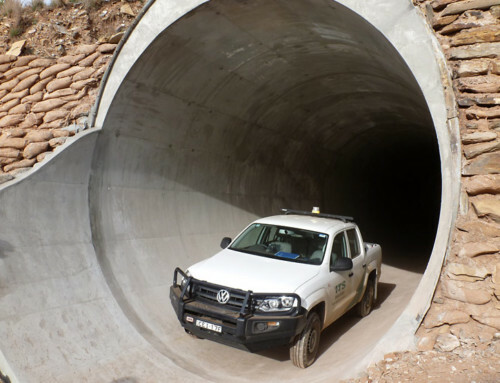 Downer PipeTech were engaged by Rio Tinto to renew three corrugated steel arch bridges in WA. The project involved the installation of a stand alone structural lining to the inside of an existing 3 span corrugated steel arch bridge under the main Cape Lambert rail line. Each of the existing arch spans measured 8.0m in width and 4.1m high with a depth of 17.0m. Gaps between the outer and central arches was 0.5m The existing structure was exhibiting signs of metal corrosion through the corrugated steel plates and the inlet and outlet headwalls had evidence of cracking and spalling. The principle risk was to achieve a design that utilized the existing bridge foundations to reduce the overall works program and to provide an economical solution with better hydraulic capacity to the Client. Working in the Pilbara on remote sites is always a challenge however ITS have several years of experience specifically in remote regions and as a result, demonstrated this past success for this critical program of work. This was the first time that Tunneline had been used in Australia to line a triple arch span to deliver a 100 year life expectancy. Development of design was in conjunction with Lindsay Dynan using AS5100 and Finite Element Analysis to assess the load and transient movement across the arches as trains passed overhead. 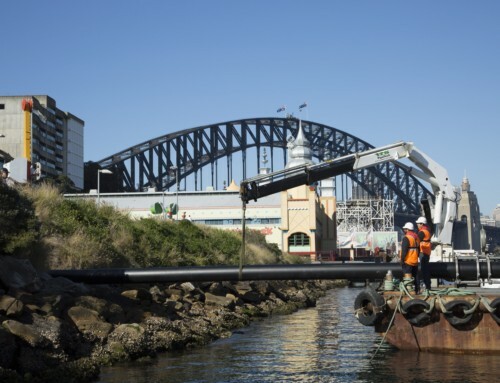 ITS deployed two of our Tunneline crews to install the linings one cell at a time. 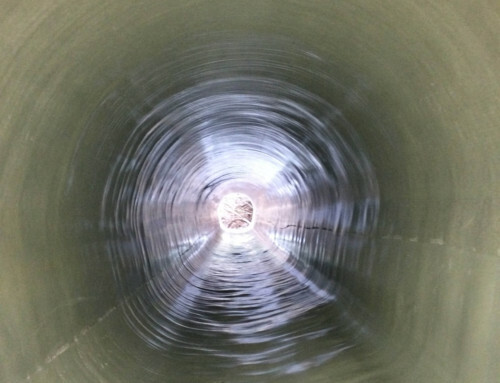 Following the foundation development which was undertaken with specialist geotechnical engineering, headwall repairs, new wing walls and aprons together with flow dispersion, were installed after the main arches were complete. This project achieved all of the scope goals and was the only proposal that achieved a 100 year design life.